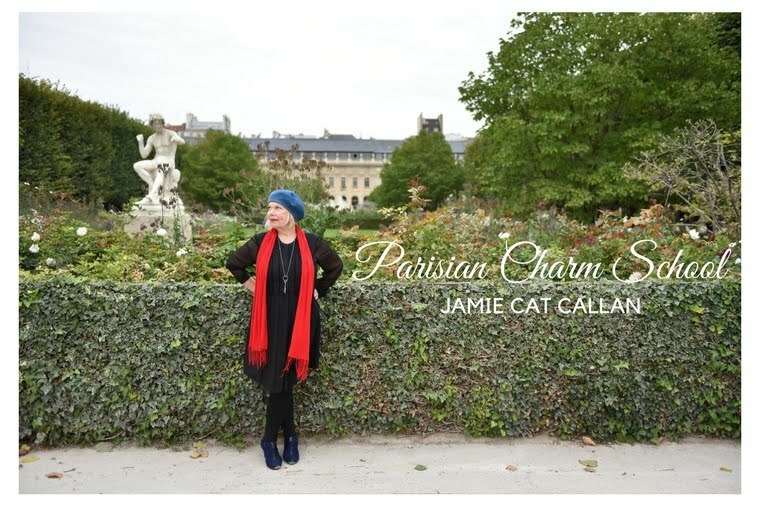 Jamie Cat Callan: 3 Days Until the Ooh La La! Paris Tour! 3 Days Until the Ooh La La! Paris Tour! I am in Paris now, awaiting your arrival in The City of Light. It's beautiful here, but hot! (Thankfully, Hotel Belloy St. Germain has air conditioning). Even though it's hot, you'll want to pack a few pretty scarves. 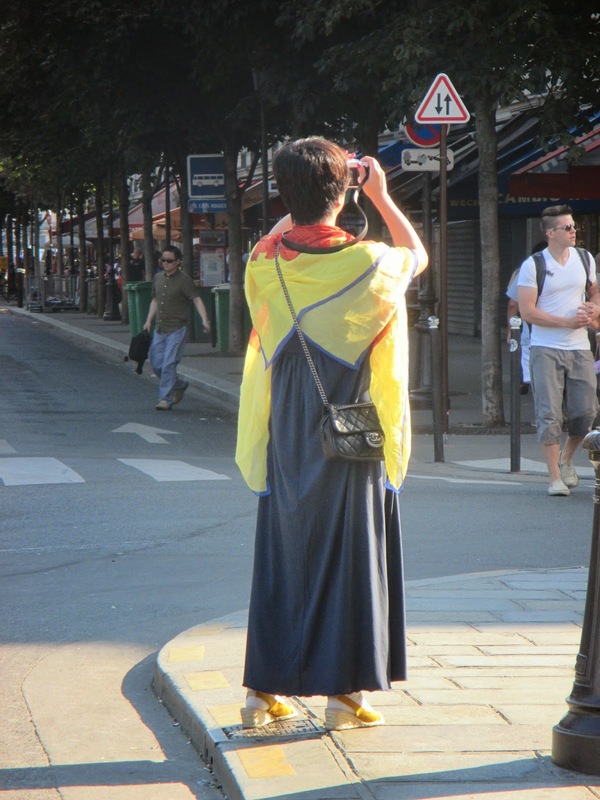 Here's what I saw one lady wearing near Notre Dame Cathedral yesterday. See you soon, Ooh La La! Ladies!